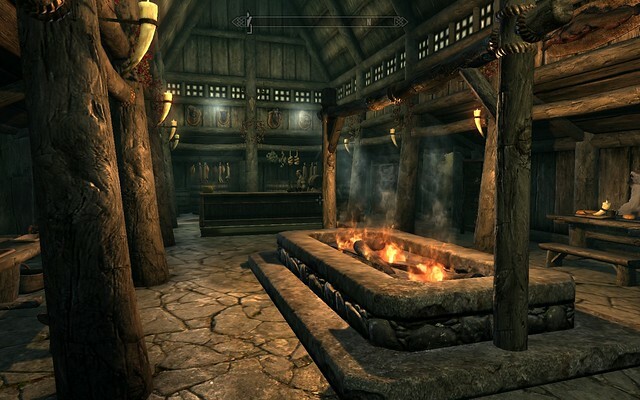 I have been spending hours in the new Elder Scrolls game, The Elder Scrolls V: Skyrim. From exploring to fighting dragons, Skyrim has been the reason for so little time for anything else lately. It is truly one of the next great RPG games, and being a Elder Scrolls fan, I have been looking forward to this since the rumours of another Elder Scrolls game. I started like most people with The Elder Scrolls III: Morrowind and fell in love right there. Since then I got every Elder Scrolls game that followed and expansions. I even played Arena and Daggerfall, the first two games in the series, which by the way, Bethesda released for free and can be found on the Elder Scrolls Website. 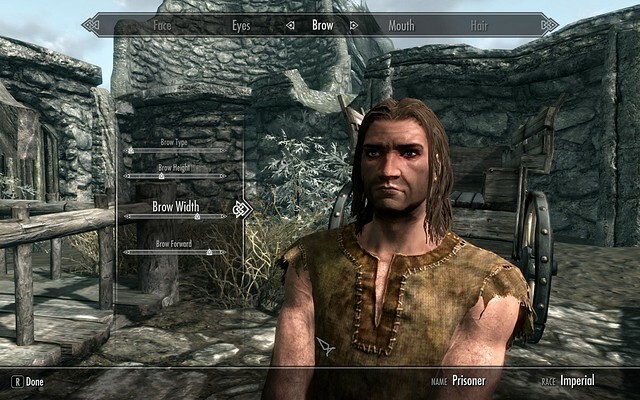 Character creation is a big improvement from Oblivion, where no matter how much you tuned it, your character never really looked like you wanted. In Skyrim you have a lot of options, and without a lot of effort you can created that character you have in mind. Also, the beast race players will be very happy as Argonian and Khajiit looks a lot better with great options now. NPC's have a improved AI system now and a lot more voices than before, so no more hearing one race with one voice. The new system, Radiant Story that makes the game react to how you play and improve their reactions a lot more. Help a NPC with something small and it might open up a bigger quest later, or break into a house of someone that really likes you at night and they might even offer you lodging instead of chasing you out. The The Elder Scrolls Wiki covers this in more detail. 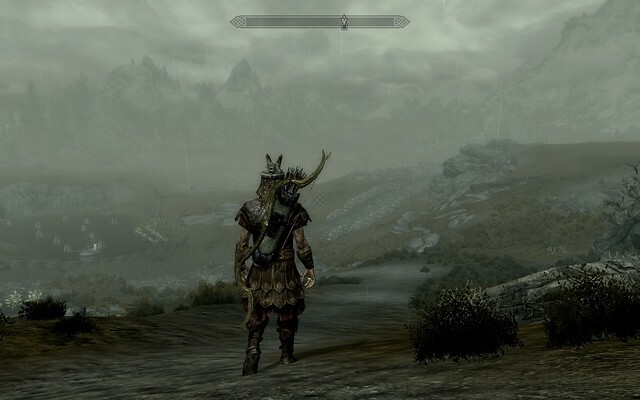 The great thing about the Elder Scrolls games are that the beautiful mountain you see or the forest in the distance, it's not just a backdrop to look pretty, it's actually there and you can go all the way there if you want to. Want to follow the river and see where it goes, go right ahead. For any exploration-hungry-person, the Elder Scrolls will fill your need for sure with a whole province to explore, dungeons, caves, cities and more. The series is also rich with lore, including history of the planet, history of each race, wars, events, gods and much much much much more. With Skyrim, even more lore will be unveiled with the dragons, a topic that was rarely mentioned before, and the fact that there is a 200 year gap between the previous game, Oblivion, and Skyrim, making it a treasure for history lore. This is something I really enjoy and one of the main reasons why I love the Elder Scrolls series. Most of this lore can be discovered by talking to people and reading books in the game, but also two great website sources is the Unofficial Elder Scrolls Pages and The Imperial Library. Quests I have done so far is really good and there is a lot.... really a lot. Apart from the main quest there is side quests, smaller objectives, guilds (I have not even joined one yet), and more. From basic courier type quest to detailed dungeon and fighting quest, they are all there. The Radiant Story adds to this as well like mentioned above. The battle system is a lot more fun and interactive now since you can put your spells, shields and weapons in whatever hand and order you want. For example, you can put a fire spell in your left hand with a sword in your right hand. There is a lot of different combinations, and really changes how you do battle with the fact that each hand is a different button, making it really fun. With that is "Favorites" which I would like to see more games add in the future. Instead of setting a specific weapon, spell or item to your 1 - 0 keys, which can become a pain when you have to select #7 in the heat of battle, even if you scroll using a mouse, Bethesda has added the favorites option. This is a menu that comes up when pressing a button, pausing the game and letting you select easily and fast which weapon you want that you have favorite before. It works well and is a welcome addition to the game. Of course I can't forget about the Shouts. Throughout the game you will learn Dragon Shouts which is a type of magic common to dragons, but can be learned by other as well. It gives you a temporary power to do different stuff like pushing anything in front of you back or being able to sprint very fast a short distance. It can make battles easier or help to overcome some obstacles. What I also like in the game is the weather and nature. The clouds around the high mountains and the fact that water current will actually push you down the river is just some of the small things I really like. The snow storm weather is really well done, making it hard to see and hear around you, and that cold wind you hear... brrrrr. You will also see animals like dear, foxes, bunnies and more go about their daily lives and now and then try to survive when a predator attacks them. All these things are what sets Skyrim apart from other RPG games, having even the tiniest thing be well done. 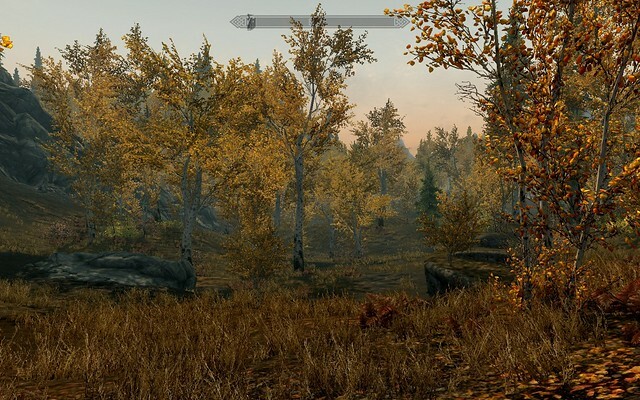 Pretty soon we will also see a huge increase of mods for the PC edition of Skyrim as soon as Bethesda release the Creative Kit, a tool to make quests, locations, items and more. This adds a lot of cool stuff from the community and makes games live so much longer, like Oblivion for example which is still very active, five years after it was released! A great site for mods is the Nexus Sites. The Elder Scrolls Nexus is a great source for Oblivion and Morrowind mods, and recently they have released the Skyrim Nexus, which already have a few mods on it. Wow I wrote a lot. 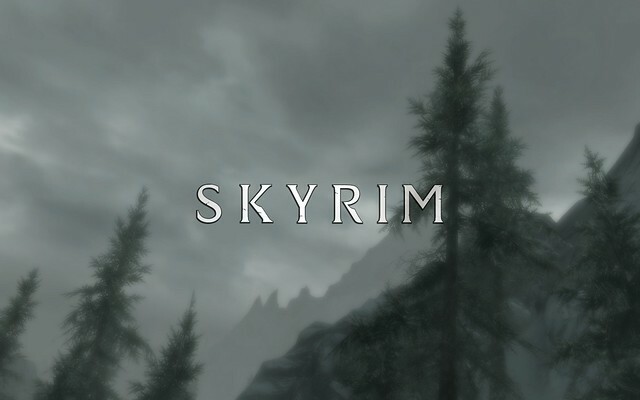 Well ill end it off in saying that if you like RPG games and have not played Skyrim yet, get it! It is a must buy and well worth the money, and if you really get into the series, play the previous games too, you will not be disappointed. If you would like to see some gameplay of Skyrim, Bethesda released a three part video set of 20 minutes in total a while back. I posted about it here. Thanks Bethesda for making another amazing Elder Scrolls game in the best RPG series! These are my experiences and opinions of the PC version of the game. I have no knowledge about the console version. New movie with a different direction... Coming Soon!